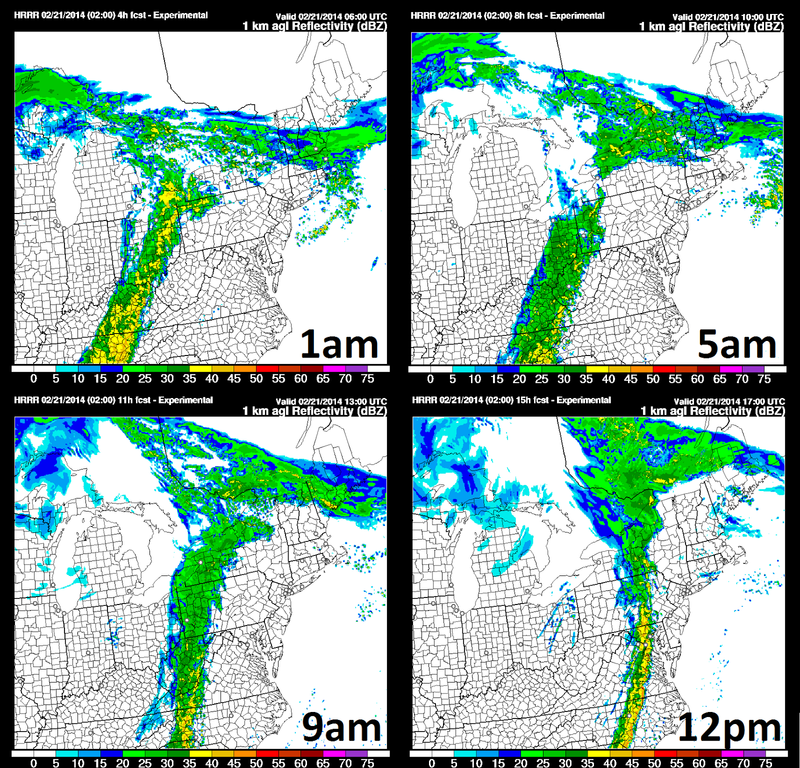 Below is a look at projected HRRR model timing of the cold front for the line of showers and thunderstorms tomorrow. There could be some thunder and breezy conditions during the heavier showers in western Virginia. The line may try to revamp a bit once it clears the mountains and heads into a bit better instability over central and southeastern counties tomorrow afternoon. While not expecting it to be widespread, this is where there will be a better shot at some severe weather (damaging winds being the primary threat). This will be a quick moving line with rain likely not lasting longer than a couple hours. Temperatures won't drop off too much until our secondary cold front moves through later on Sunday. Enjoy the nice weekend before we plummet into winter again next week.